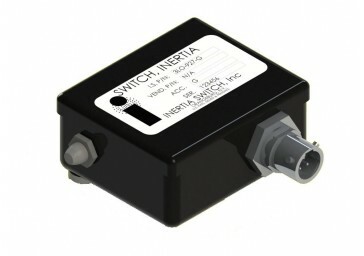 The Inertia Switch model 3LO-927 is a highly reliable latching inertia/impact switch used for various military and commercial aviation applications. The specified g level is preset at the factory. When predetermined g levels are exceeded by the aircraft in any direction, this switch will automatically turn on or off certain systems such as: voice or data recording, emergency lighting, and fire control. The device remains latched until manually reset. This unit has been designed for applications where space is very limited. 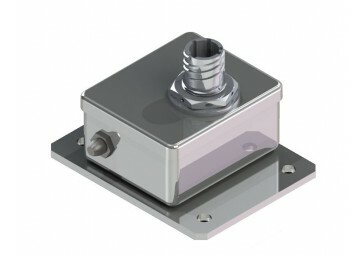 Mounting is achieved via threaded studs inside housing instead of base plate found on similar models. Please contact our engineering department for more details. 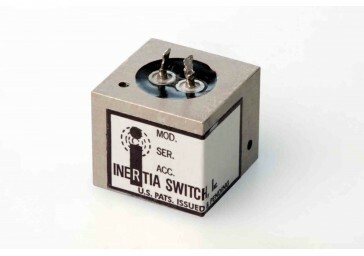 Inertia Switch Inc. is a full-service design, engineering, and manufacturing firm founded in 1950. Since our inception, we have designed, qualified, and delivered thousands of types of products. We specialize in acceleration switches of all kinds, but we also manufacture limit switches, prostheses, incandescent digital displays, and many other standardized and unique products. The information on this data sheet is for reference only. Please verify all specificiations by consulting our engineering department for the appropriate outline control drawing.